The Mustang Youth Services Center partnered with the City of Paducah Parks Services by providing a college & career development workshop for the Student Government at MCHS entitled “Workforce WORTHshop: Do You Have What It Takes?” Students participated in this half-day, interactive workshop which provided sessions on resume writing/interviewing skills, filling out job applications, conflict resolution, creating a healthy lifestyle, personality tests and much more. Presenters included: Joni Goodman, KeeFORCE; Jil Harper, Swift & Staley; Stacey Young, Baptist Health Paducah; Melanie Egner, EXL7 Bootcamp; and Deanne Neel, Lourdes Hospital. Each student who completed the entire workshop received a “Certificate of Completion” to be used when applying for jobs, scholarships, internships and a professional development training experience of which they can include on their resumes. 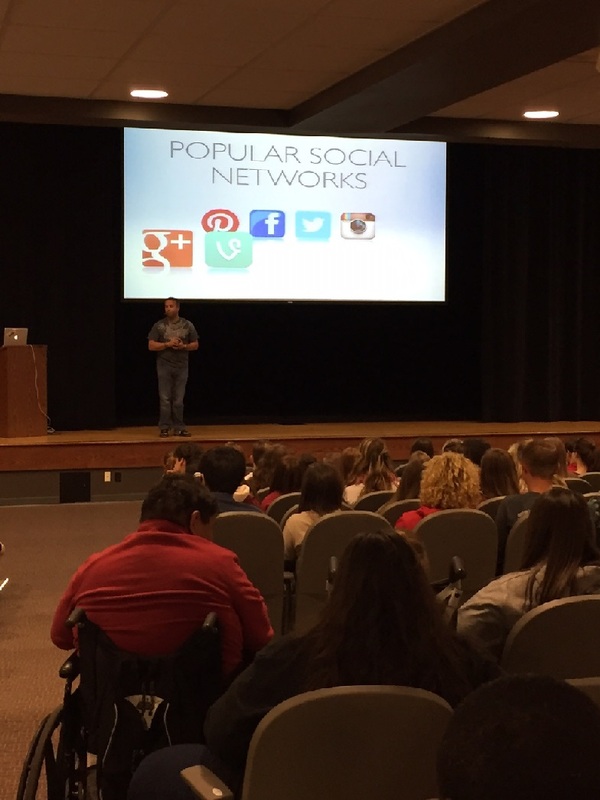 The Mustangs Youth Services Center coordinated Bullying Prevention and Online Media Safety presentations for the students at MCHS in the Month of November. 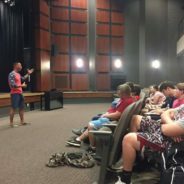 Scott Harvey with Speaking of Harvey out of Lexington, KY came and presented to over 500 MCHS students in an Assembly entitled “Iamsomeone.” Harvey’s presentations centered around personal responsibility and social media awareness. He has an easy, story-telling way of connecting with students by making them laugh, cry and most importantly, think! He uses his experience in law enforcement and teaching the D.A.R.E. program to movie his audience to action. 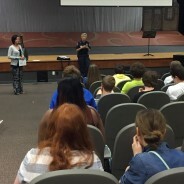 In conjunction, Officer Gretchen Morgan with the Paducah Police Department presented to students all week and provided information about the importance of online media safety, bullying, sexting on what to do and how to report it. 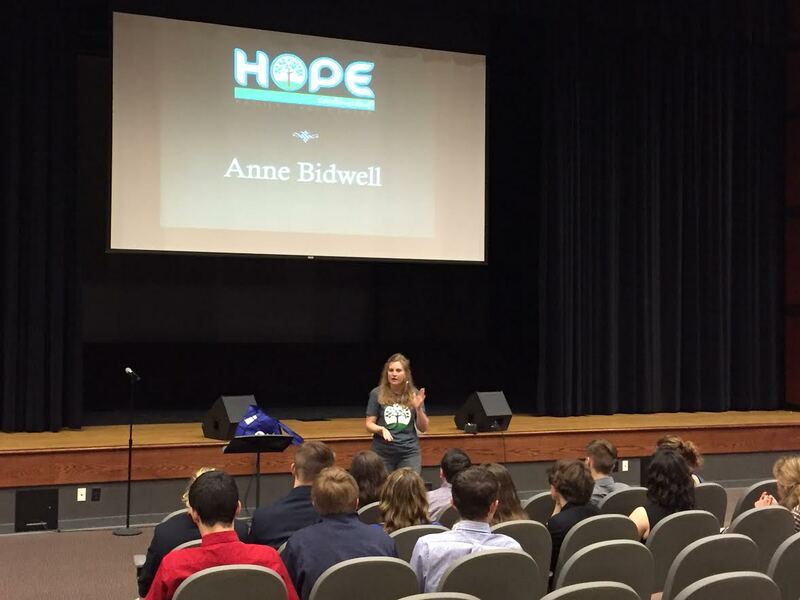 Students were engaged in interactive presentations on how our choices can effect us for the rest of our lives and the importance of being responsible with online media because the truth is, once you put it out there, it is forever. 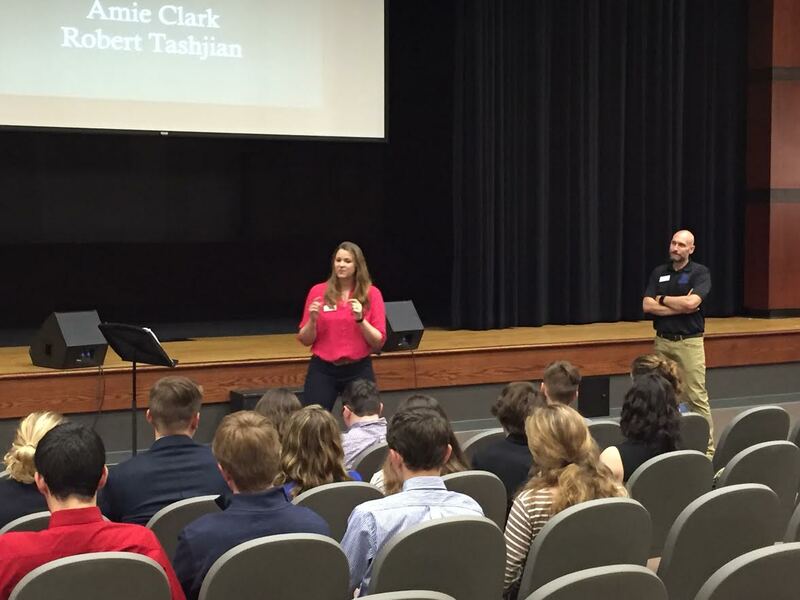 For more information about the Mustangs YSC contact Stacy Thomas at 538-4370 or stacy.thomas@mccracken.kyschools.us. 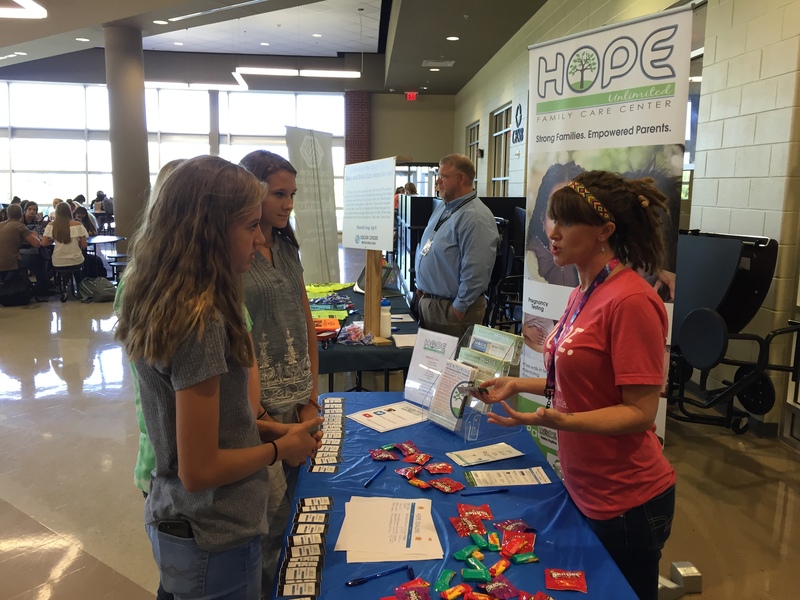 On November 11, the Purchase Area Health Education held its Annual “Hands-on Health Career Fair” at West KY Community & Technical College’s Allied Health Building. 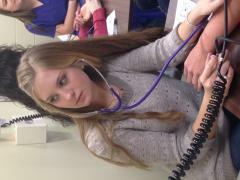 The Mustang Youth Services Center partnered with Mrs. Diel’s & Mrs. Heisner’s Health Ed. 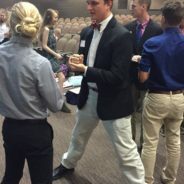 classes and about 60 students took part in the Career Fair. 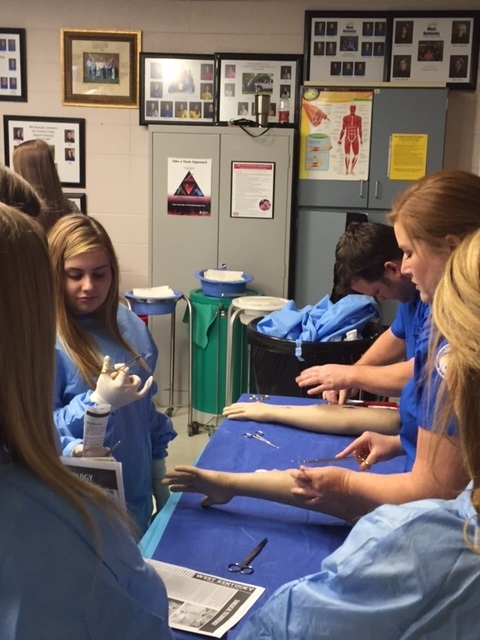 Students participated in rotating workshops ranging from sonography, pharmacy, physical therapy, nursing, occupational therapy, radiology technician and many more. Students participated in the hands-on activities and learned what courses they would need to take in college to complete those career paths. 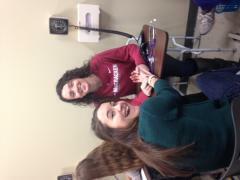 Center coordinated its second “Nonprofit Volunteer Fair” for the students at MCHS. Community agencies came to MCHS over several days and set-up display tables during lunch to involve students and show them what volunteer opportunities are available in our community. Students stopped by the booths, received information about the organizations and signed up to volunteer! 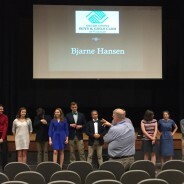 Our students are always seeking ways to give back to the community, causes for their clubs/organizations and different ways to build their resume. Partnering organizations included: Hope Unlimited Family Care Center, Paducah Cooperative Ministry, The Senior Center, United Way, Family Service Society, Boys & Girl’s Club, Merryman House and Cassidy’s Cause. 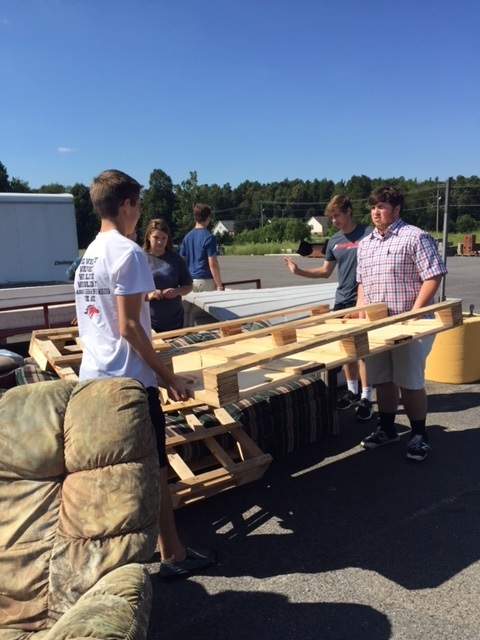 We are so proud of our students and their willingness to want to give back! Thank YOU to all of the partnering organizations for investing in our students at MCHS! 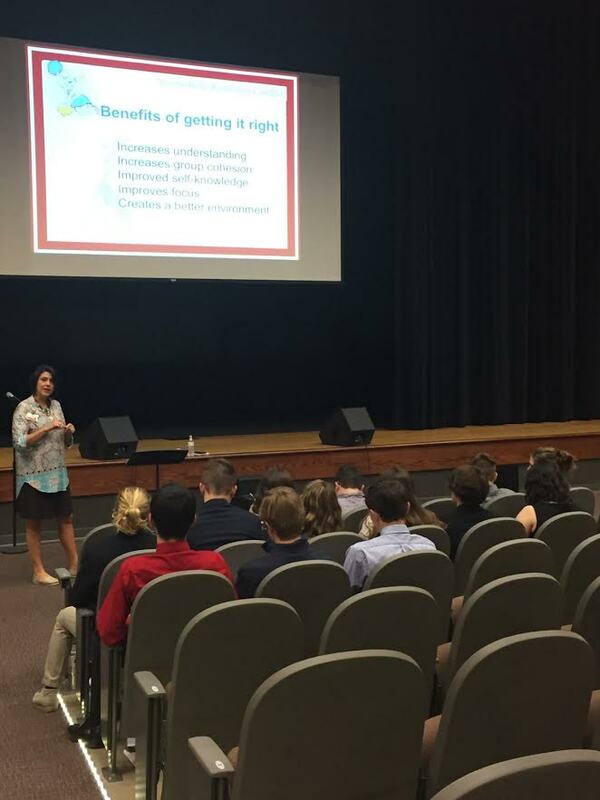 The Mustang Youth Services Center partnered with the City of Paducah Parks & Recreation by providing a college & career development workshop for the Student Government at MCHS entitled “Workforce WORTHshop: Do You Have What It Takes?” Students participated in this half-day, interactive workshop which provided sessions on resume writing/interviewing skills, filling out job applications, conflict resolution, creating a healthy lifestyle, setting goals and leadership. Presenters included: Joni Goodman, KeeFORCE; Stacey Young, Baptist Health Paducah; Robert Tashjian & Adair Baysinger, UK Cooperative Extension; Amie Clark, City of Paducah; Melanie Egner, EXL7 Bootcamp; and Michael Ceglinski, MCHS Principal. Each student who completed the entire workshop received a “Certificate of Completion” to be used when applying for jobs, scholarships, internships and a professional development training experience of which they can include on their resumes. 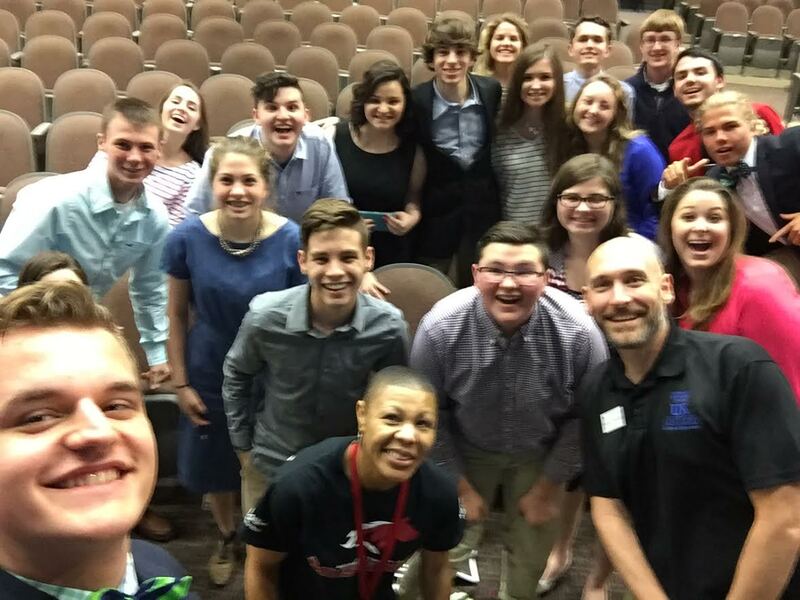 Student participants include: Zach Althouse, Ethan Brown, Carter Bullard, Garrett Childress, Barton Christmas, David Dodd, Carli Fredrich, Josh Grogan, Sophie Grogan, Molli Guminski, Hallie Poat, Caleigh Propes, Trey Pullen, Henrietta Ransdell, Natalie Shadrick, Caroline Smith, Connor Tilford, Jacob Weitlauf, Hannah White and Katelyn Woodard,. 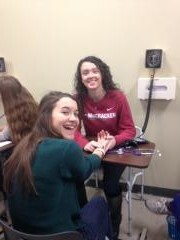 The Mustang Youth Services Center teamed up with Mary Meinschein’s Health Ed class in a blood pressure clinic in honor of Valentine’s Day and the theme of keeping your “heart healthy” to live a longer life. 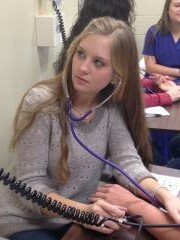 About 246 students and staff participated in this hands-on experience provided by the health education students that included five sessions. 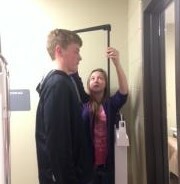 Participants were given their blood pressure reading, weight and height from the class “professionals” and advice from on what they might need to do if they needed to make adjustments to their diet. 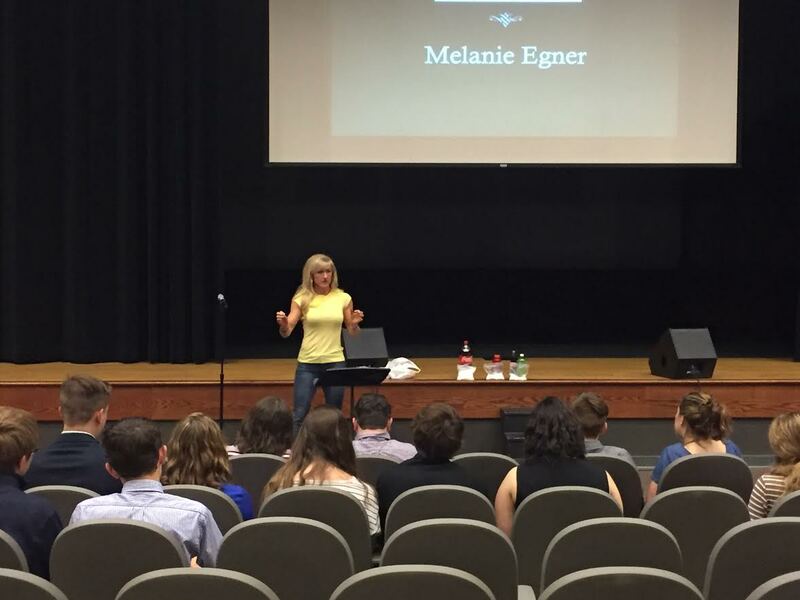 Thanks to Mrs. Meinschein for providing a great experience for the students! 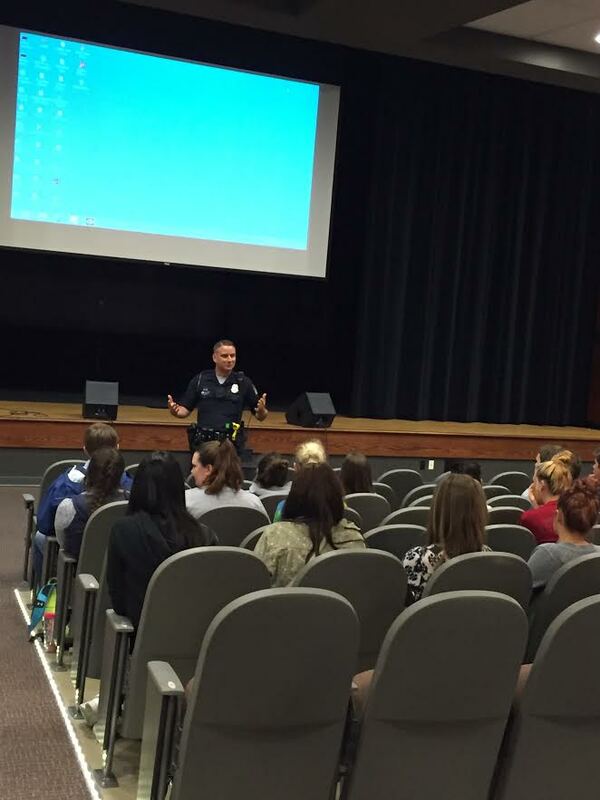 Th e Mustang’s Youth Services Center partnered with the Paducah Police Department to coordinate a texting & driving session with one of the Family & Consumer Science classes at MCHS. 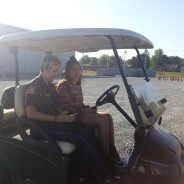 Students were able to drive a golf cart through a simulated course with Officer Gretchen Morgan while texting & driving. While participating, they were able to see the dangers of texting, taking selfies and being actively involved in other social media activities while operating a vehicle. Distracted driving is becoming one of the leading causes of accidents in our nation and the purpose of the simulation was to make our students aware of the danger first-hand. 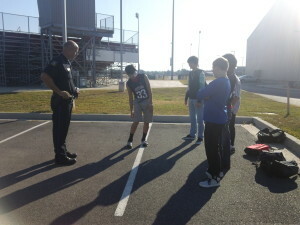 In addition, students also participated in a simulated exercise with beer goggles to show the dangers of driving while under the influence of alcohol or drugs. Thanks to our friends at the Paducah Police Department for being such great community partners and supporters of our school!